These and the rest of our gate products provide various features and functions, with the most obvious of these relating to security and safety. With Richmond NZ, your property will be safe and secure both day and night. The construction and design of these gate systems is durable enough to hold up in most weather conditions, providing maximum longevity. Whatever budget you’re sticking to, we can offer you a variety of fence gate rollers and gate systems that meet your needs. Browse what we have on offer online, or contact us if you need more information. 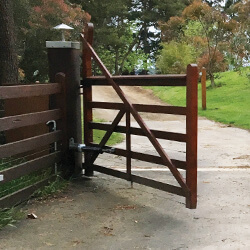 With our extensive range, you’re sure to find the electric gate openers in NZ to suit your needs.